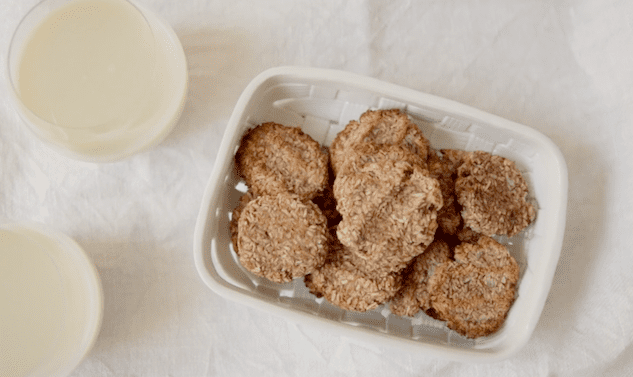 In just three ingredients, create a perfectly packable snack that also doubles as a delicious cookie. 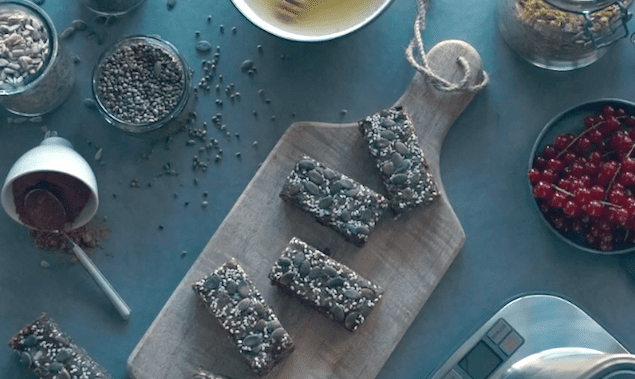 A sweet midday snack with a punch of protein to get you through until the next real meal. 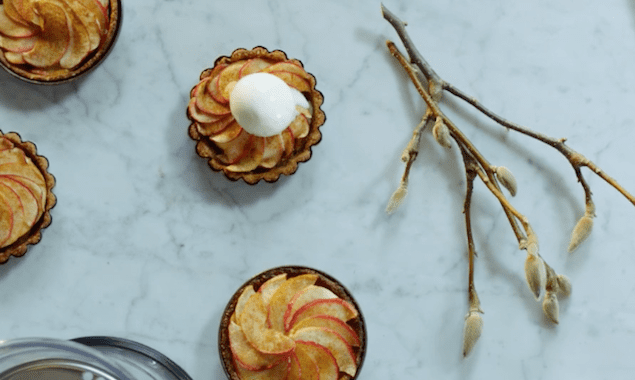 Mini vegan tarts with a flavorful crust are the perfect vessel for fall’s apples. 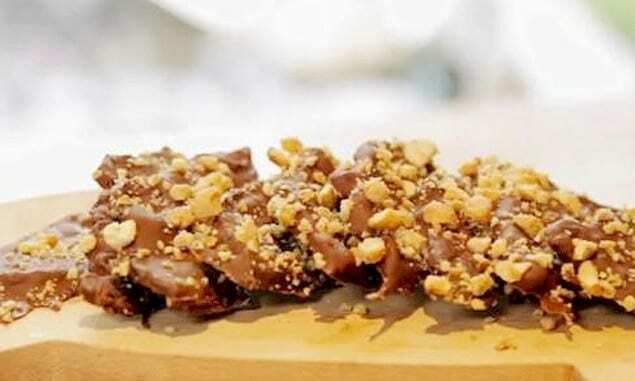 Dust with cinnamon and sweeten with dates for a delicious dessert. The tea cake of the season. 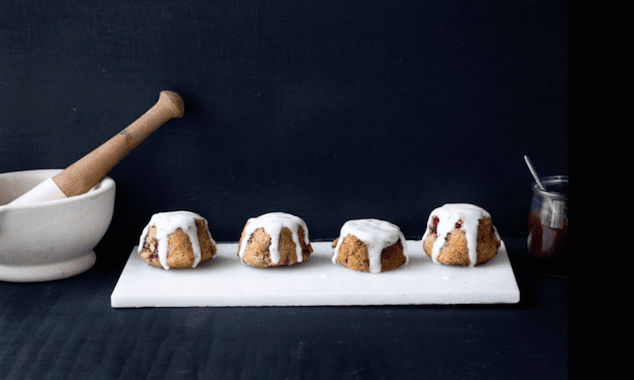 Studded with red berries and a warm vanilla scent, these individual cakes are delicious lightly glazed. 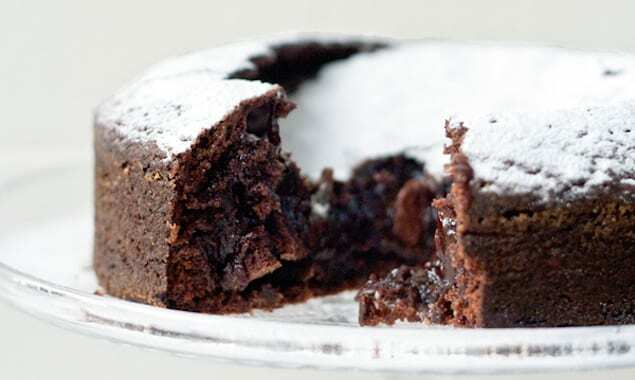 Gooey chocolate cake with a crisp crust on top is ideal with a cup of afternoon or evening tea. 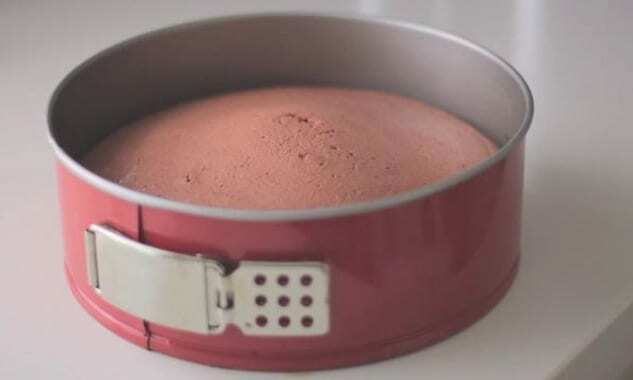 Quick and easy, this cake can rival any brownie recipe. 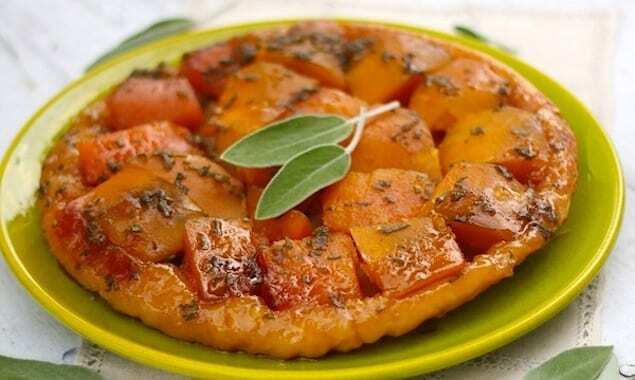 Roasted butternut and sage-infused maple syrup coat a dish before being tucked in by a butter blanket of dough. Once baked, flip over and serve. 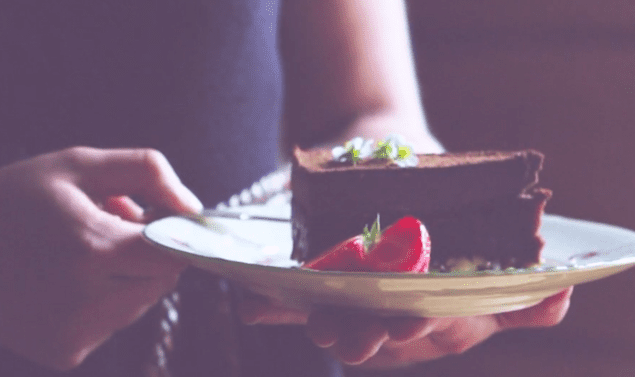 A beautiful combination of nuts, fruit, and cocoa powder combine for a raw cake. 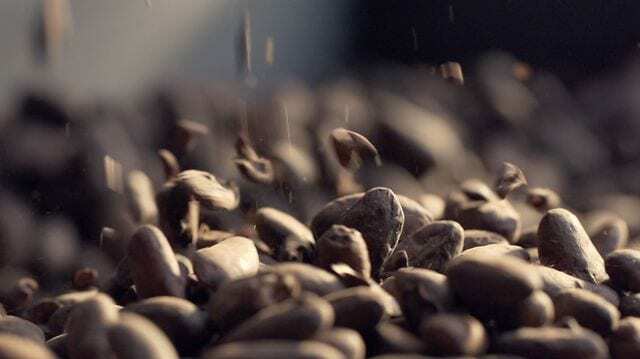 Rich and chocolatey, while you are also getting a serving of fruit. Make your own ice bowls for your next cold dish. They are so easy to form and stunning when filled with bright berry sorbet. This cold treat is a lovely combination of sweet and acidic. 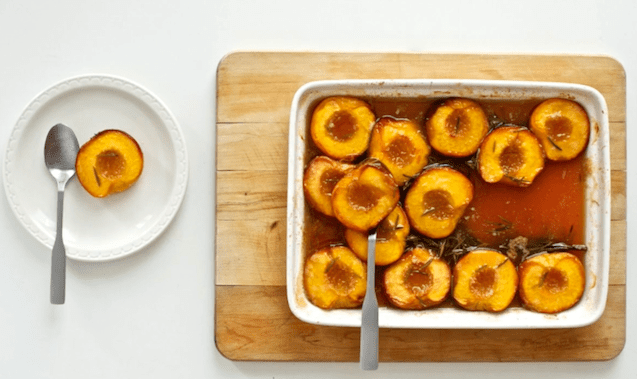 A touch of caramelized flavor and mint makes for a sweet and refreshing treat. Don’t be scared by the word vegan. 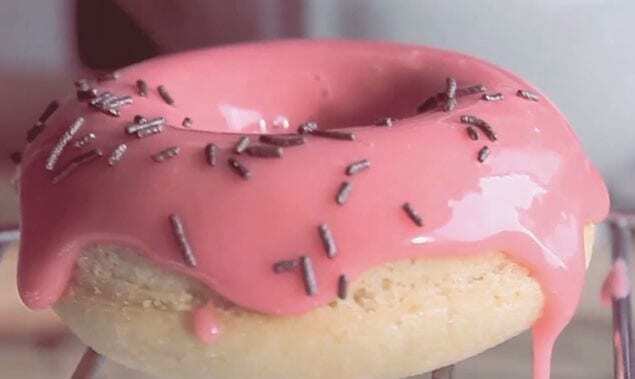 This donut is moist, fluffy, and so flavorful. 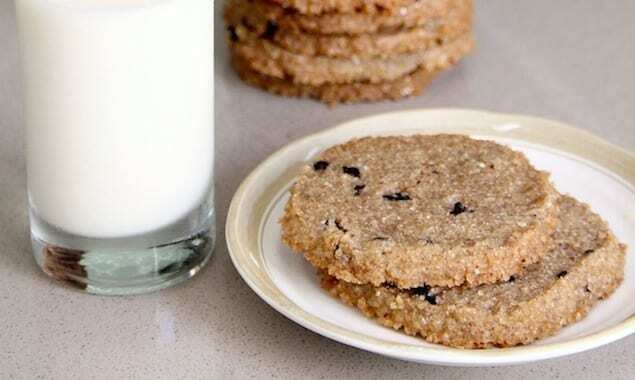 Buttery crisp, rye cookies beckon you to use the berries of the season. Try the recipe with currants and rum, or dried cranberries in the winter months. 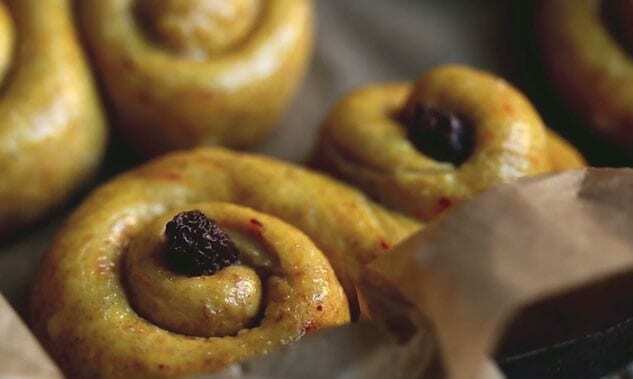 If you’ve never had a chance to enjoy Swedish Saffron Buns view the video and try the recipe from Green Kitchen. et, simple, and delicious, this individual strawberry pie is perfect for summer picnics and gatherings. 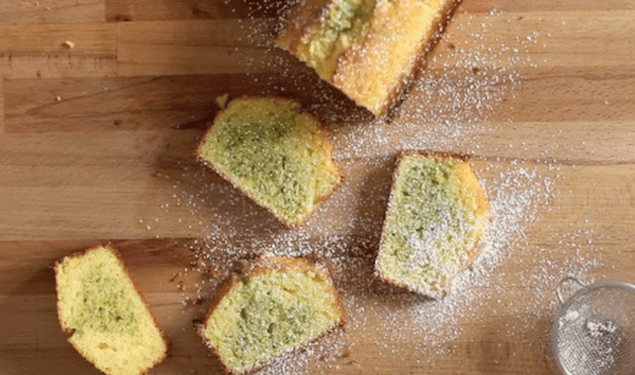 A delicious, buttery, moist cake loaf swirled with rich pistachios. 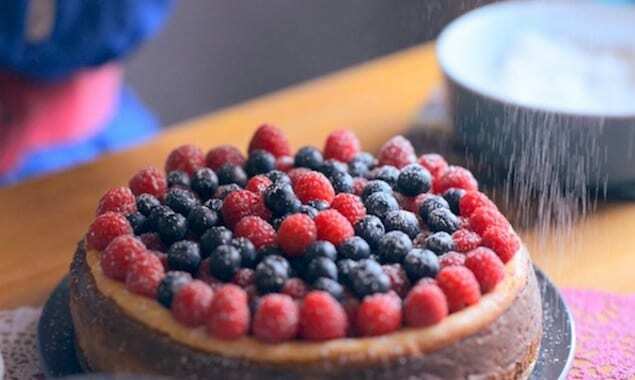 A great cake to serve with fresh berries. A beautiful dessert to stun your eaters. Layered with a sweetened Crème fraîche and yogurt, this dessert is light, crisp, and simple for summer. 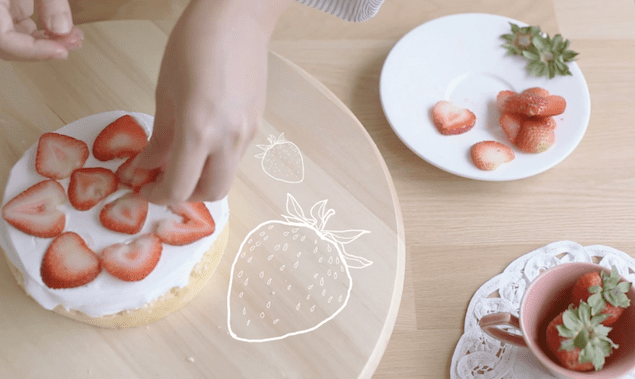 Imagine a fancy strawberry shortcake, this recipe is it. 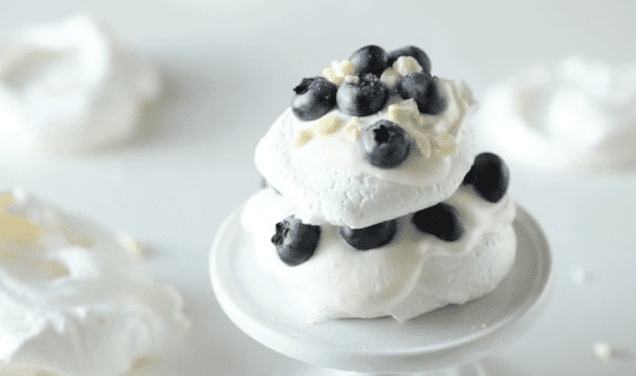 Layered with fluffy whipped cream and kirsch, make this dessert and let the berries do the talking. 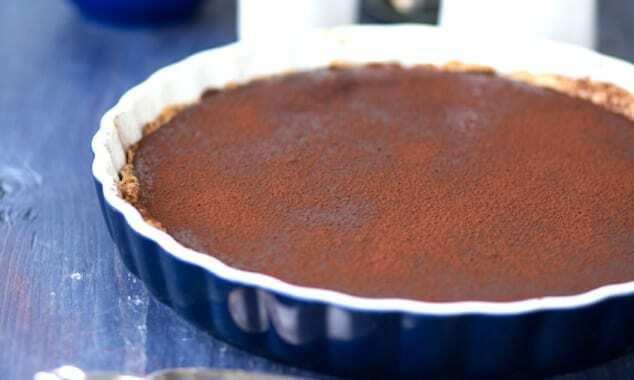 Beautifully rustic, don’t worry if the tart crust is crooked as the taste is out of this world. Serve a rich slice with vanilla ice cream or whipped cream. 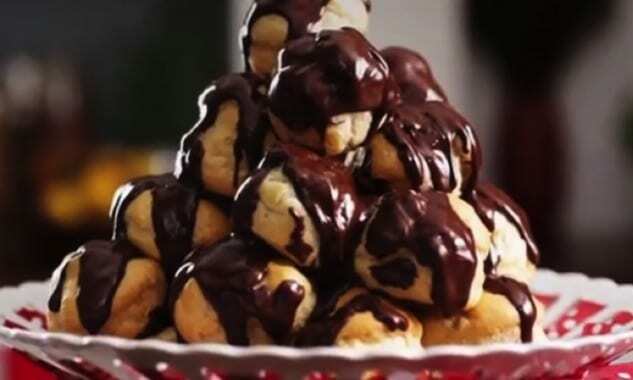 A guide to delicious profiteroles. 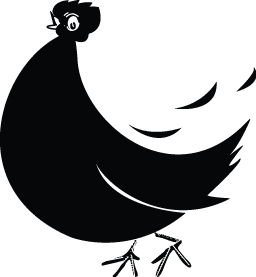 Once you have mastered pâte a choux for eclairs or profiteroles, you have every right to eat ten and swell with pride. 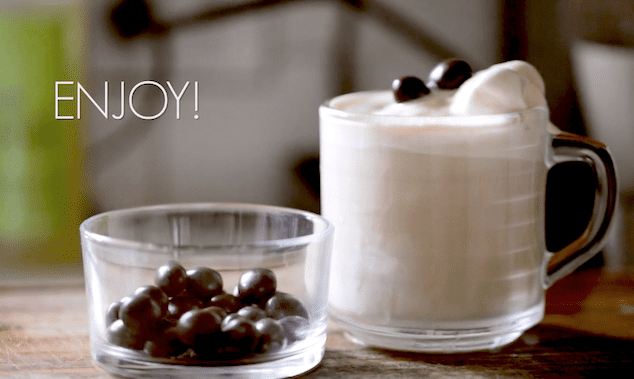 To make this dessert, all you need is vanilla ice cream with warm espresso and chocolate covered coffee beans for a garnish. 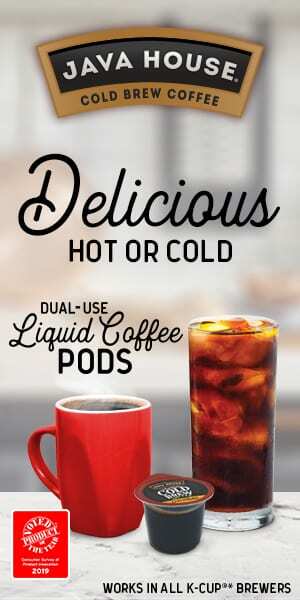 A perfect hot and cold combo. 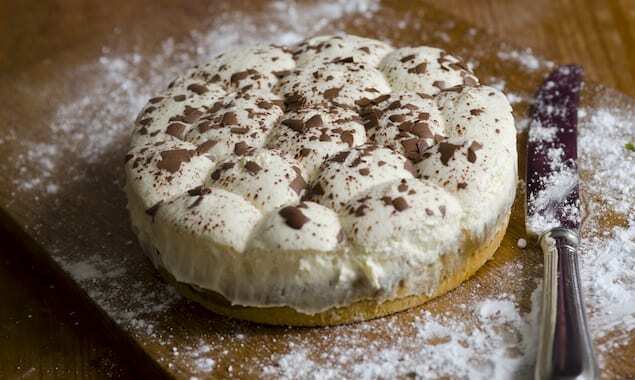 Sitting atop a crumbled cookie crust, the English Banoffee pie is filled with a caramel, bananas, and topped with whipped cream. The new banana pudding. 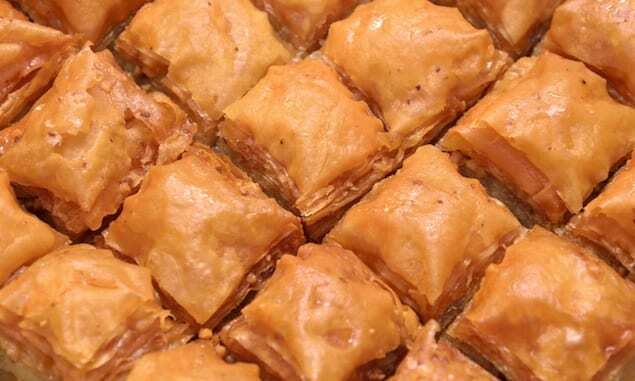 Take a minute out of your day to start craving baklava. Watch as the honey pastry is layered, spread, spun, puffs, and sizzles. 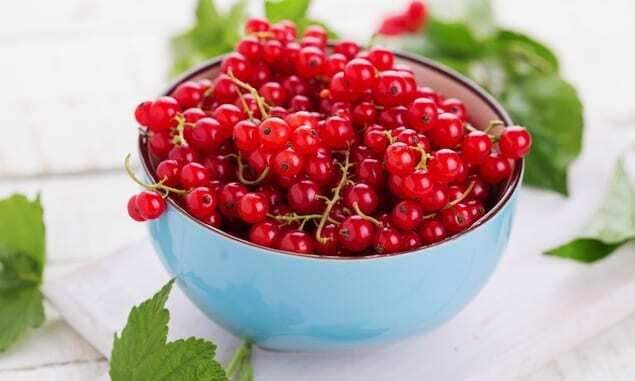 With their tart flavor, currants work beautifully in meat sauces and in sweet cakes. 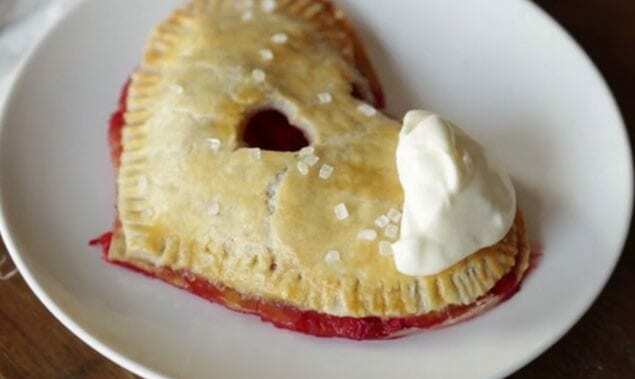 Cook them with sugar to make a compote filling for layered pastries. 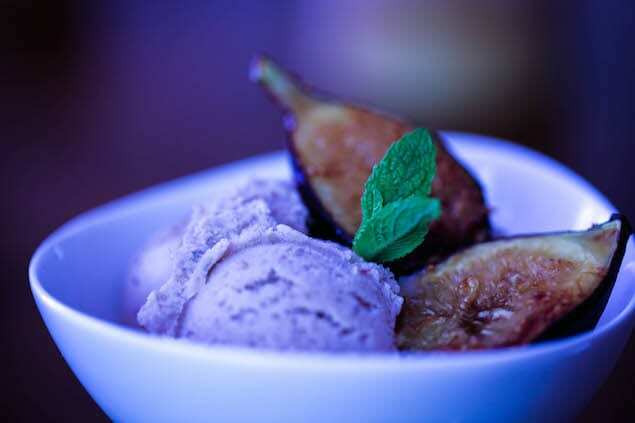 Fresh figs are a real treat. 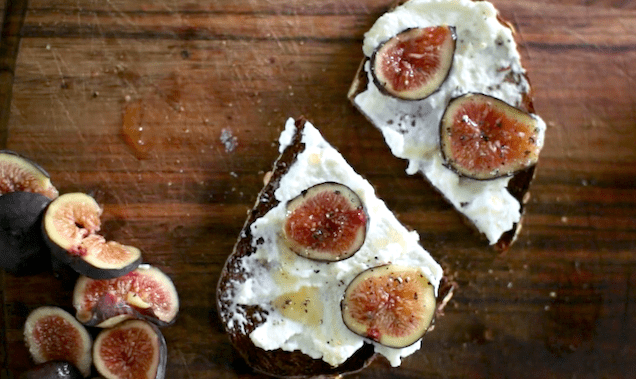 Enjoy them simply on an open-faced sandwich with creamy ricotta and honey. 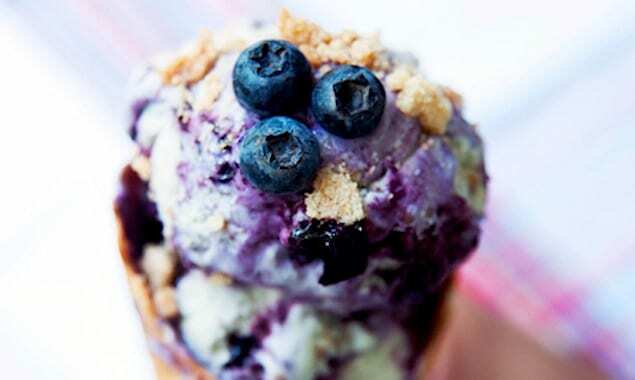 Blueberry muffins summer-style. 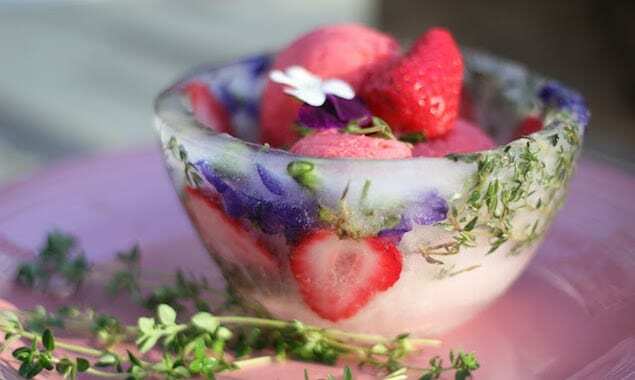 Mixed into cold ice cream with fresh berries, this summer treat will not only highlight the season, but cool you down, too. This cheesecake is the perfect dessert to make for Memorial Day. Red, white, blue and tasty. 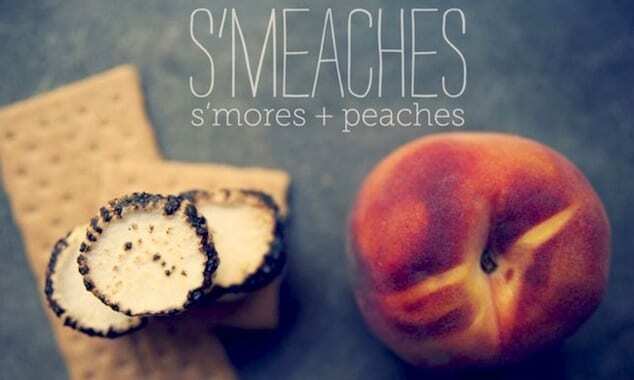 Create an addictive sweet and salty treat for a snack or dessert. Dipping it in chocolate only makes bacon that much better. 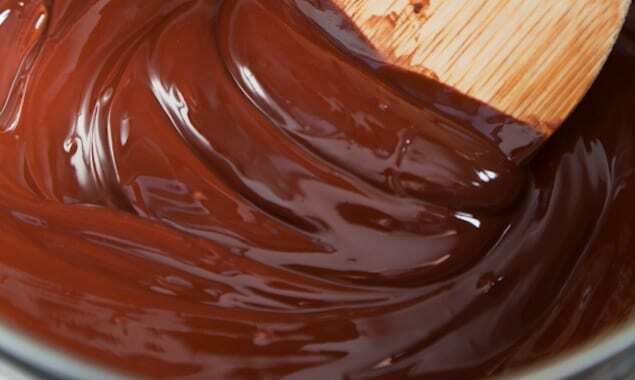 Get ready to whisk and learn how to create simple chocolate ganache with flavors such as raspberry liqueur in minutes. 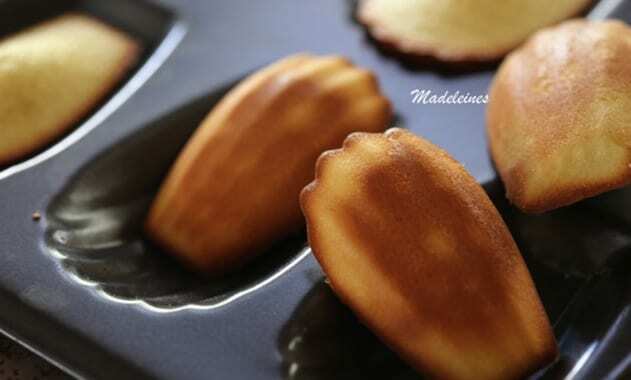 Learn how to make the small shell-shaped cakes known as madeleines in this video. 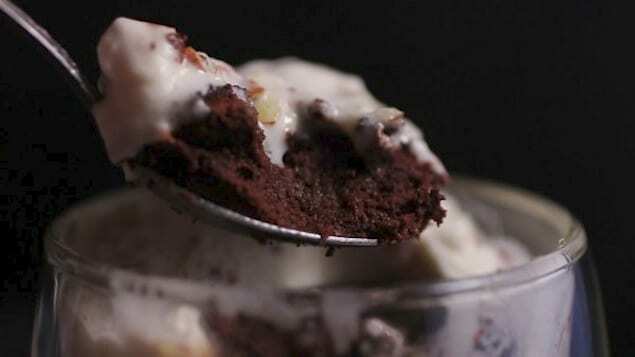 Watch delicious, moist chocolate soufflés spring to life and be adorned with a creamy nougat topping. This many layered Lithuanian cake is rotated, and crisped in front of a roaring fire. 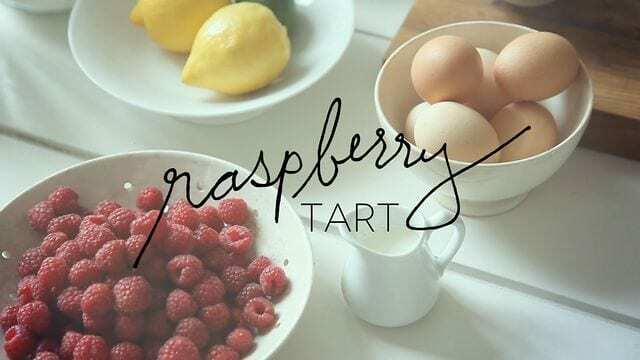 Watch the construction of beautiful, individual raspberry tarts with pastry cream. 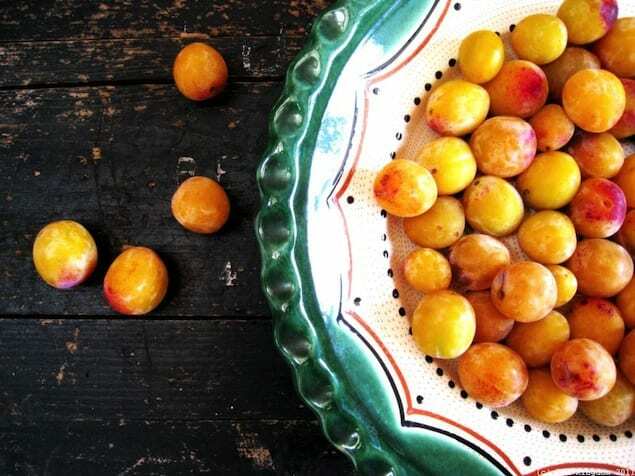 From the orchards to a warm biscuit, learn how to preserve plums with a video on jam. It is not as difficult as you may have thought, learn how to make frosting roses to top your next gourmet baking experiment. Alain Ducasse’s chocolate making process is a true artistic craft. 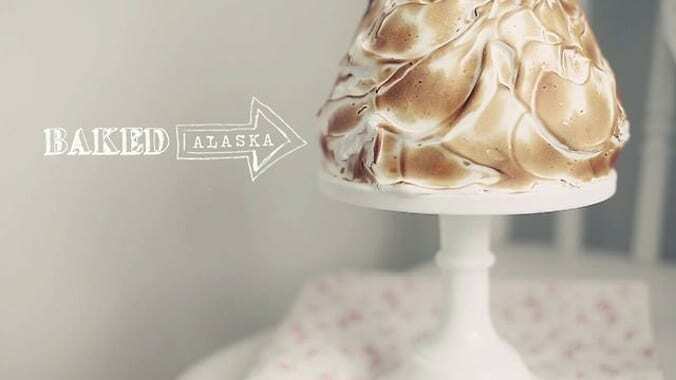 Creating a baked Alaska can be tricky. 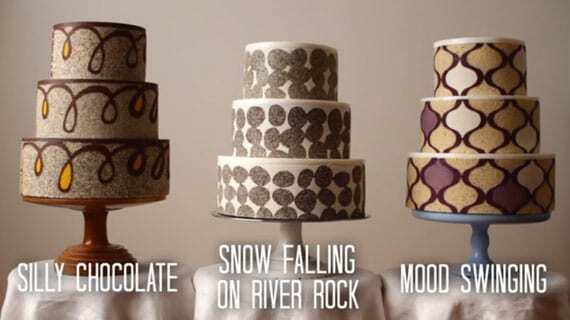 Create beautiful designs in the meringue, as shown in this video. 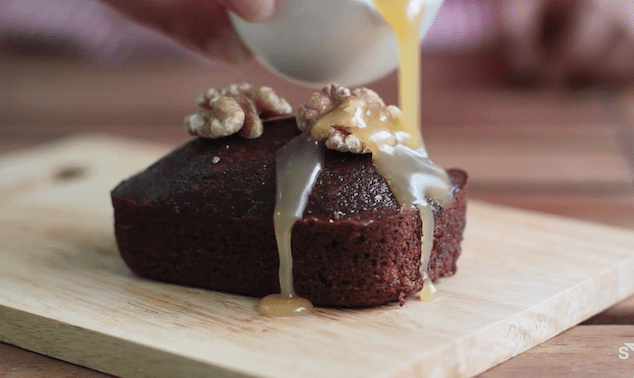 Become entranced by the video of Ofelia Bakery’s secret recipe to a perfectly flavorful red velvet cake.